We are looking for a BMW Used Parts Specialist. Teardown, Clean, Stock, Organize, Identify, Refurbish Used BMW Parts. Also Parts Sales at Counter / Phone / email / eBay / and Re-Psycle website. 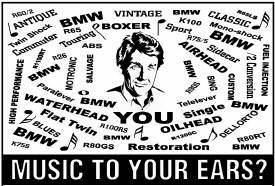 Must be Mechanically experienced with BMWs, and knowledgable about BMWs from 1955-2005. Work hourly or salary. Clean, well lit, air conditioned shop. Large, well stocked, Parts Department. BMW Motorcycle Mechanic, with a minimum of 2 years professional BMW experience, to Service / Repair / Recondition / Restore BMW Motorcycles from 1955 to 2005. Full time, year round, benefits. Work hourly and/or straight commission. Clean, well lit, air conditioned shop. Factory special tools provided. Large, well stocked Parts Department. Re-Psycle, BMW Parts is situated in Lithopolis Ohio, a small, safe, quiet town in a semi-rural area twenty miles outside of Columbus Ohio. There is a grocery, gas station, numerous small antique shops, and Wagnals Memorial Library; the largest private library in the USA. The Wagnals Memorial Scholarship Fund allows children with good grades, who attend four years at the local High School, to qualify for full college scholarship at OSU. Three miles to Shopping Center and State Route 33. Affordable rents and property costs.